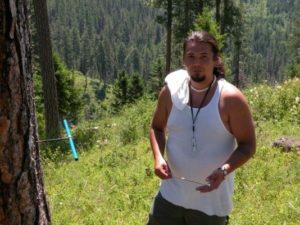 Matthew Weingart is a member of Oregon’s Klamath Tribe and is a Pend d’Oreille descendent. He is a first generation college student at Salish Kootenai College (SKC) and is a double major in the Hydrology and Forestry programs. 3) quantifying rainforest expansion rates and collecting data on how carbon levels fluctuate within Australian and New Zealand forests (a partnership with the WildFIRE Partnerships In Research and Education (PIRE) program). 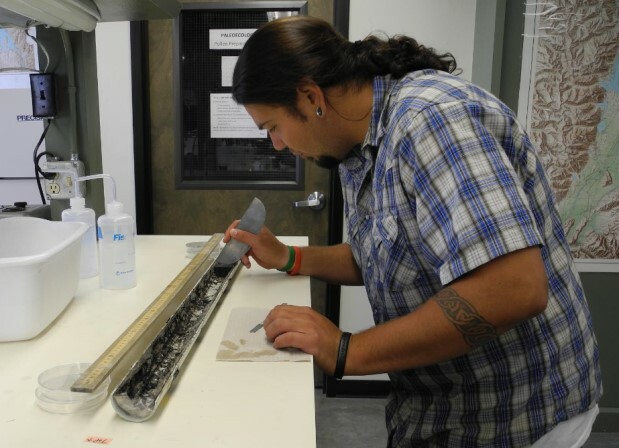 He also did volunteer work with a graduate student from the University of Montana using the SKC ground-penetrating radar to map bedrock in the Lubrecht Experimental Forest, and conducted White Pine blister rust surveys in Glacier National Park with Montana State University’s Ecology Department. His research with WildFIRE PIRE became his senior thesis project and involved looking at how wildfire activity and vegetation communities in northern Yellowstone National Park changed over the last 13,000 years. He is continuing to seek his Masters and PhD degrees in the Earth Sciences.